Articles from the March 8, 1932 (Vol. 14, No. 60, Whole No. 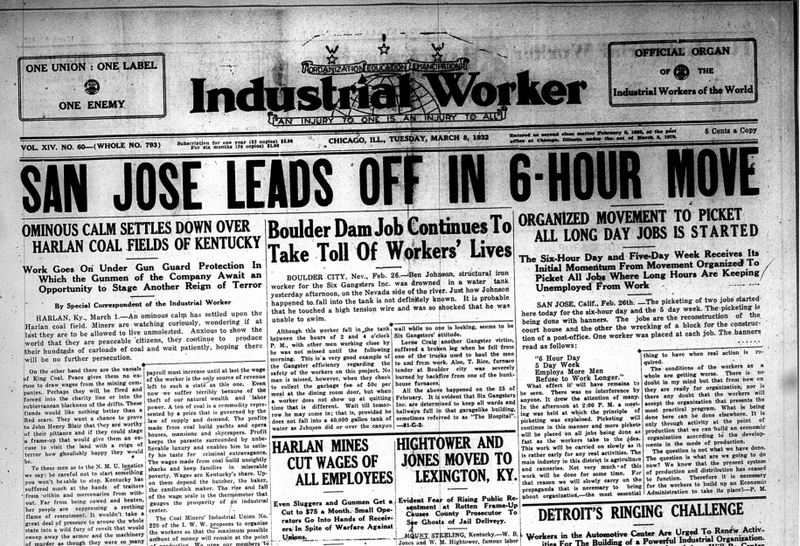 793) issue of the Industrial Worker, the newspaper of the revolutionary union, the Industrial Workers of the World (IWW). -Mother Mooney speaks in N.Y.